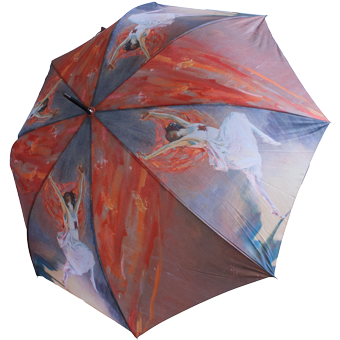 Anna Pavlova Umbrella with automatic open button. 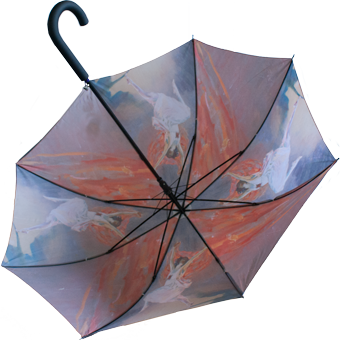 This is a large stylish umbrella finished with a black soft grip handle and black ribs. 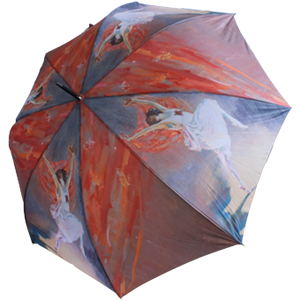 The canopy is 100% polyester which is ideal for protecting againist the elements. The full length including handle is 86cm, while the diameter is 100cm. 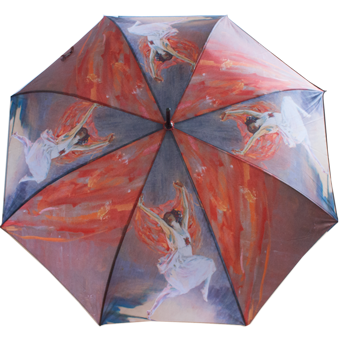 The ideal gift or souvenir of your visit.